Paintsville serves as a center of commerce, banking, medicine, education, and law for a multi county region and is a recreational haven appealing to the entire family. Our chamber is built of local businesses and professionals working together to make a positive impact in our community. 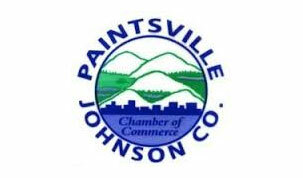 The Chamber’s directors, members and staff are excited about the growth our Chamber has experienced in the last year and, if you want to join an organization that is moving forward and serving as a catalyst for positive change, then please consider joining the Paintsville/Johnson County Chamber of Commerce.